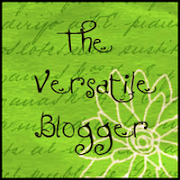 I recently purchased some Yes to Carrots products and I really really like them. Firstly what I love about Yes to Inc. is their products are up to 99% natural, contain no nasties like paraben, petroleum and SLS. Secondly they are reasonably priced. Thirdly and most importantly they do what they say they are going to do. 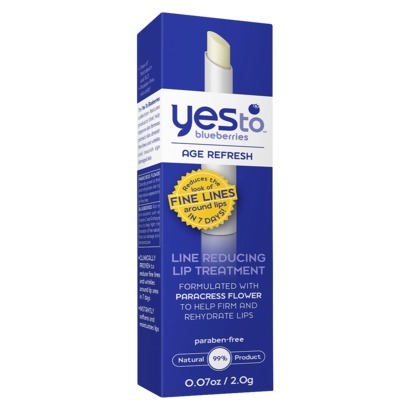 Yes to Blueberries Line Reducing Lip Treatment. I have really dry lips, I have to wear lip balm all the time because they just dry out so quickly. Lip balms are generally all pretty much the same, they moisturise and protect your lips but need to be reapplied often. What I found with this lip treatment after just a couple of days, my lips weren't so dry and I was even forgetting to apply lip balm. I could go out and it would be a couple of hours before I realised my lips needed something on them as they were starting to feel a bit dry. This lip treatment is super moisturising containing ingredients such as Shea Butter, Coconut Oil, Olive Oil, Vitamin E and of course Blueberries rich in antioxidants and which give it a lovely natural flavour. I apply treatment twice a day on and around my lips after I cleanse and moisturise my face. My lips are fuller, flaky skin has disappeared, I don't have to reapply lip balm as often and lines around my mouth are improved. I would use this product just for the moisturising benefits alone but it DOES work as a line reducing treatment which is just fantastic. I have never had another product work on the lines of my mouth as well as this. I feel it also improves lipstick application and my lips definitely look fuller. This lip treatment has now become a staple in my beauty regime. Unfortunately I haven't been able to find this product available in Australia but you can purchase quite reasonably from overseas for under $10. It's funny that you mentioned this, because I was going to state this in my initial post, that there are people who get Lip reduction procedures, because they want smaller lips, but my problem is just the opposite.